Judy Summer of Summer Studio is nationally recognized for her fine works in polymer clay. 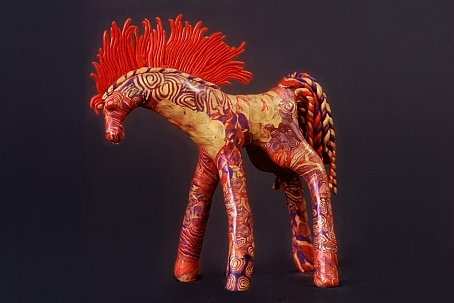 Judy sculpts polymer clay figures, focusing on stylized free spirited horses, masks and even switchplates. remain unmatched in style and originality.